Maui Electric Company. Photo by Wendy Osher. UPDATE: As of 9:30 a.m. on Saturday, Jan. 3, Maui Electric has restored power to 7,958 Maui customers who lost service due to storm winds. 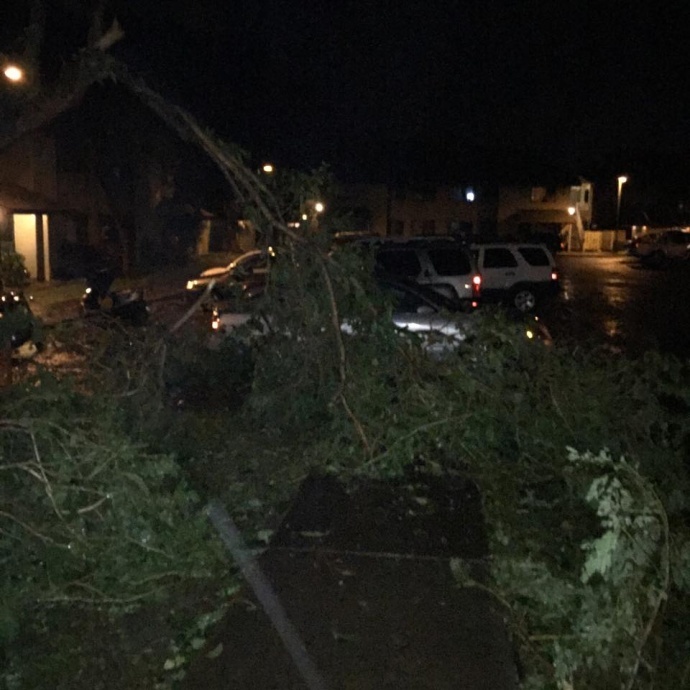 The strong winds brought down trees and debris in electrical lines in areas throughout Maui County, including South Maui, Central Maui, Upcountry, Pā‘ia, Ha‘ikū, East Maui and Moloka‘i. About 3,460 customers remain without power in pockets of Kahului, Wailuku, Makawao, Pukalani, Kula, Pā‘ia, Ha‘ikū, East Maui and Moloka‘i as response crews continue to work on repairing and replacing damaged electrical equipment. 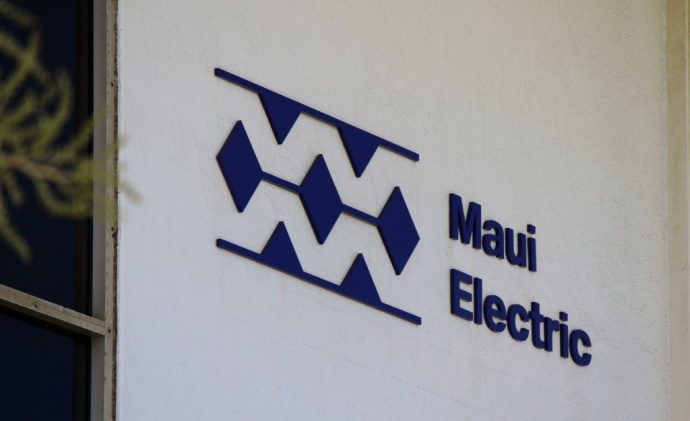 Maui Electric crews continue to respond to multiple outages on Maui and Moloka‘i on Saturday, Jan. 3, 2015. Approximately 8,169 customers have been brought back online in South Maui, parts of Central Maui, Pā‘ia and Ha‘ikū as of 7:30 a.m. this morning. Approximately, 11,419 customers remain without power in parts of Central Maui, Upcountry, Pā‘ia, Ha‘ikū, East Maui and Moloka‘i when high storm winds brought down trees and debris in electrical lines last night. Crews restored power to 6,000 customers in North Kīhei and Wailea, approximately 1,337 customers in Kahului and Wailuku and 832 customers in Pā‘ia and Ha‘ikū. 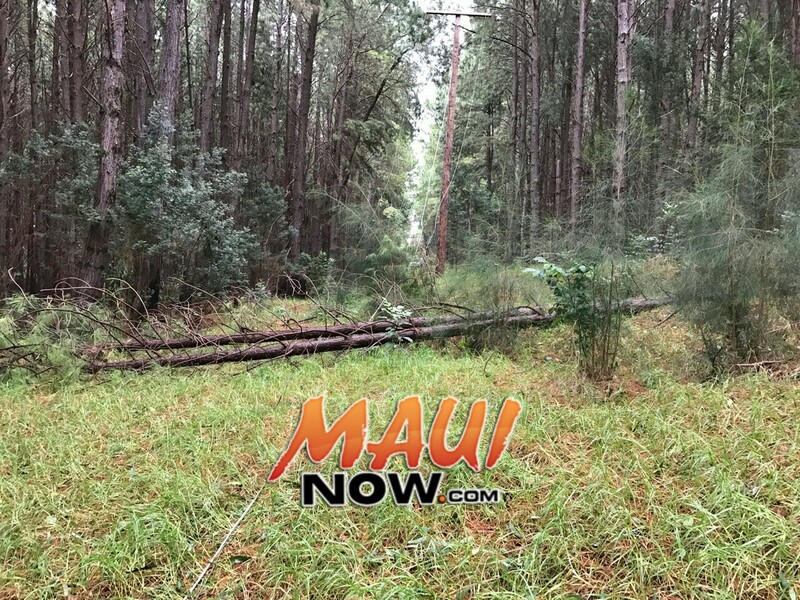 Crews continue to work on restorations in parts of Upcountry Maui, including Makawao, Pukalani, Kula, Pā‘ia, and Ha‘ikū, as well as East Maui and Moloka‘i. Maui customers are asked to report any outages, and/or downed power lines and poles by calling 871-7777. Moloka‘i and Lāna‘i customers should call (877) 871-8461. 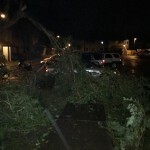 In addition, Maui Electric reminds customers to stay away from downed power lines. Assume they are energized, or “live,” and dangerous. If you see someone injured after touching a downed power line, call 9-1-1 for help. Warn others to stay clear.